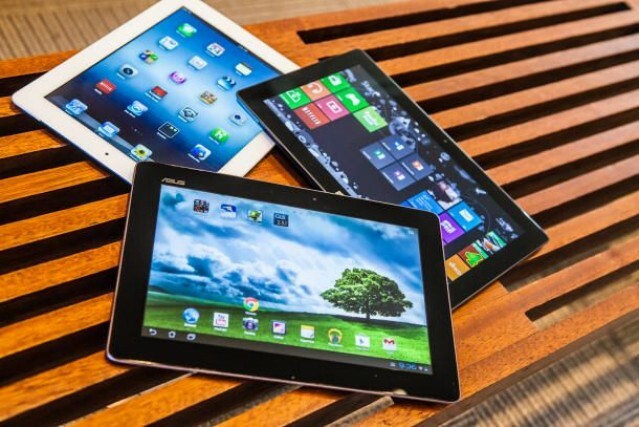 If you just got a new tablet, you can't go wrong with these choices! Buying your first tablet can feel a bit like mankind taking its first steps on the moon. It's a big and exciting deal. Then comes time to load it up with apps; and that means navigating app stores with more than 1 million choices. Talk about daunting.To get you started, here are 10 absolute must-have apps that you can download right now, whether you're searching for ways to keep up with current events or simply looking to touch base with friends and family. Don't leave home without these essentials at your fingertips. News 360 is a clean, beautifully-organized app that allows you to access news from around the world in a streamlined manner. It's attractive and easy to read, and you can create your own personalized news feed. Save news for offline reading, and choose from over 100,000+ sources to cull your news stories from, and use News 360 to make sure you're only filtering in the happenings that you care about. It's simple to use and ensures you'll be able to use your new device in ways that make sense for you in no time. If you're looking to do some serious image editing, the free Pixlr suite is one of the most robust options available, with basic editing, filters, and even more advanced functions like that of what Photoshop provides at your fingertips. You can make each and every photo yours with minimal effort, even if you've never used any image manipulation software before. Plus, it works extremely well on tablets -- even on smartphones, with a clean layout and easy-to-understand tools and effects. Keep track of your finances with Mint, the free-to-use money management app that allows you to create budgets, analyze your spending habits, and create reminders for when bills and other important expenses are coming up. It's secure, simple, and an invaluable tool if you need a little help when it comes to keeping to a budget. Don't worry, all of us have been there at one point or another. Nothing to be ashamed of! You've got your go-anywhere-and-do-anything device sorted, but what about keeping in touch? That's where Google Hangouts comes in. Assuming you've got a free Gmail account, you can chat with any of your contacts via text, voice, or video with the flexible Hangouts app. You'll need to be connected to the internet, of course, but if you need a quick and easy way to stay connected that incorporates all of the functionality of its pricy cousins, Hangouts will do the trick very nicely. You need a word processor if you're going to stay productive with your new tablet, and Kingsoft Office acts as a brilliant alternative to pricey official applications. It supports Word documents, PDFs, spreadsheets, and various other files and its intuitive interface is easy to get used to, even if you've only ever used Microsoft products.